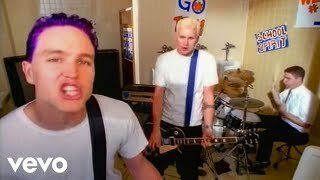 Mark Hoppus Wants To Take blink-182 "In Completely Weird Directions"
blink-182’s Mark Hoppus has revealed his plans for the next album to Kerrang. After playing in this band for 27 years, I want to push it and do different things and take blink to places where we haven’t been before. We’re really trying to do that on the new record. We want to do with our band what we did in 2003 with Untitled, where we take our foundations and go off in completely weird directions. We’re in the studio all the time. That’s the thing, our main bands are our main focus and will always be. We all have our outside interests and our outside things, but we’re pretty straightforward with one another; blink really is everybody’s priority and that’s understood among all of us.